Patricia did her first triathlon as a dare. 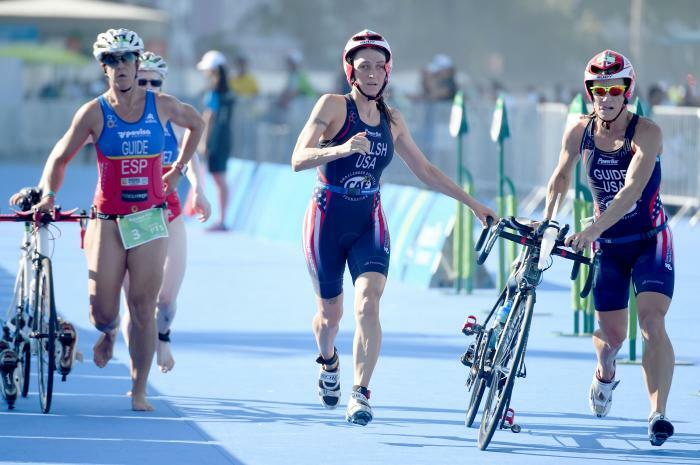 As an avid runner, Walsh’s friend dared her to complete an IRONMAN, which forced her to learn to swim and improve her biking skills. Now, Walsh spends seven days a week training a minimum of two to three disciplines plus yoga. When she’s not training she spends her time as a Court Appointed Special Advocate for children in the court system of Travis County, in Texas. She lost her vision at age 14 as a result of a pediatric brain tumor and complications from surgery. She run marathons for years before going to triathlon.